Below are events related to the celebration of Hispanic Heritage Month in October! Come and have fun, get involved, and learn about the Hispanic World! Several of these events are to kick-off our new major! Saturday, October 6, 9am-12pm, South Mall: LALACS Soccer Cup (in front of Confer-Vickner) We’re calling it the “Mundalito.” Eight teams of students, who have signed up to represent different Latin American countries, will be playing to win our first soccer cup. We’ll be playing in front of Confer-Vickner and Nobel, on the South Mall. Should be a colorful and fun event. If you haven’t signed up, don’t worry, just show up Saturday morning to don a shirt and start playing. No experience needed! Snacks, water, a t-shirt, and (for the winning team) bragging rights forever! Tuesday, October 16, 7pm, Olin 103: Witness for Peace Speaker, Tomás Gómez Membreño, “United States Intervention in Honduras and the Effects on Indigenous Peoples” (Spanish/LALACS /Peace Studies) Tomás Gómez Membreño will give a lecture on the current human rights’ crisis in Honduras and the connections to US policies (including both military aid and presence in Honduras). Gómez Membreno works with COPINH, the Civic Council of Popular and Indigenous Organizations of Honduras, an indigenous rights group that works on issues of indigenous land rights, as well as environmental and social justice. Wednesday, October 24, 7pm, Confer 127: Ana Luisa Fajer, Consul of México in Minnesota, “A Bonding Between Two Nations: Myths and Challenges of Mexican Immigration in Minnesota” (LALACS). We are honored to welcome Cónsul Fajer, who has served as Mexican consul to Minnesota since 2008. Her talk will address many of the misconceptions involving Mexican immigrations, as well as the challenges faced by our communities. Thursday, October 25, 7pm, Courtyard: Wait, Wait, Don’t Tell Me: Latin America (Crossroads). Based on the popular radio quiz show, your wittiest Gusty profs will face a barrage of hard and sometimes hilarious questions. Be there! 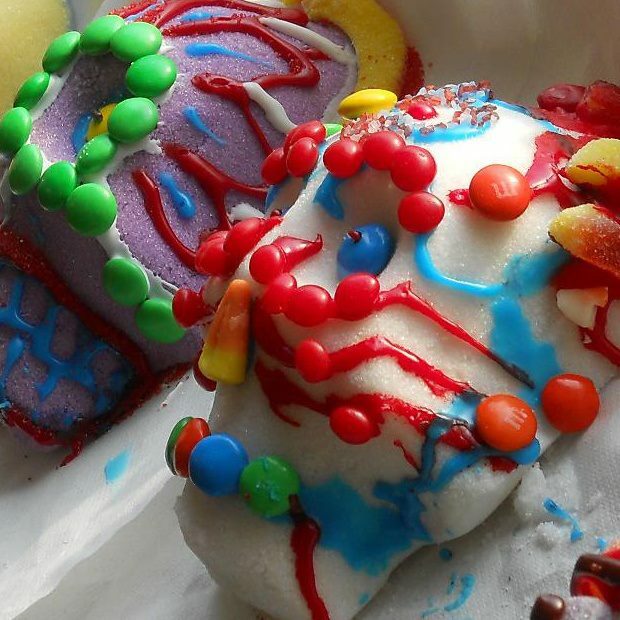 Monday, October 29, 6-9 pm, Senior Center (CC) Sugar Skull Workshop (OLAS and Language Amiguitos) In these workshops participants will decorate traditional sugar skulls used for decoration for the Day of the Dead. Tuesday, October 30, IC lounge, 6-8pm: Workshop and “Teach-in” on the Feminicides in Mexico, Guatemala and El Salvador (Zetas and Peace Studies).The Zetas along with students of LALACS and Peace Studies will be hosting a workshop and teach-in on the hundreds of women killed in Mexico, Guatemala and El Salvador. We will read about the lives of these women, understand the context behind the issues, make pink crosses in honor of the women and display the crosses at the Day of the Dead processional event on Thursday, November 1st in Chapel at 7:00 p.m.
Thursday, November 1, 7pm, Chapel: Día de los Muertos/Day of the Dead: Procession and Celebration in the Chapel (LALACS/Spanish/OLAS) Procession starts in the Campus Center at 7:00. Honoring the ancient traditions of the Day of the Dead, we will begin with a procession starting at the campus center. Inside the Chapel you can view dozens of altars created by Gustavus students, and participate in a meaningful ceremony in both Spanish and English. The event will involve students, community members and faculty. All are welcome. Latin American, Latino & Caribbean Studies (LALACS) is now a major! Session on Civil Rights for Immigrants (ACLU) November 6-8 Senior Center of the Community Center.